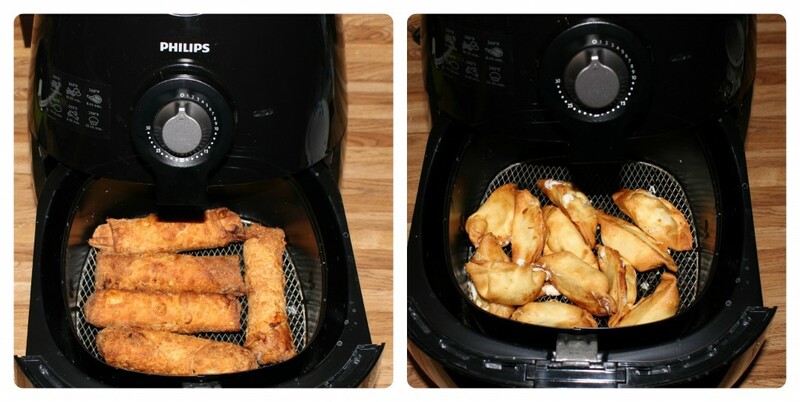 Philips Airfryer - Gives You Fried Tasting Foods With Little to No Oil! 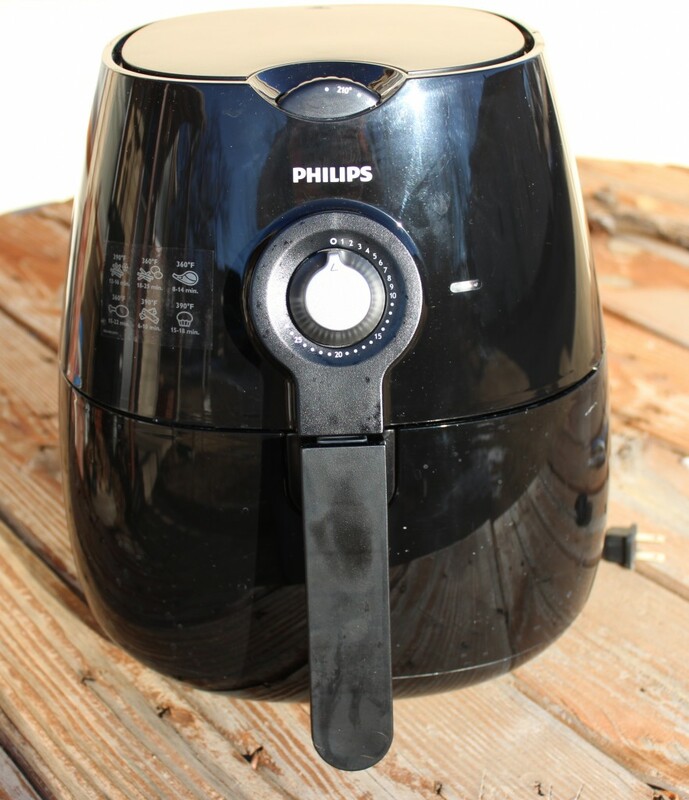 Philips Airfryer – Gives You Fried Tasting Food, With Little to No Oil! 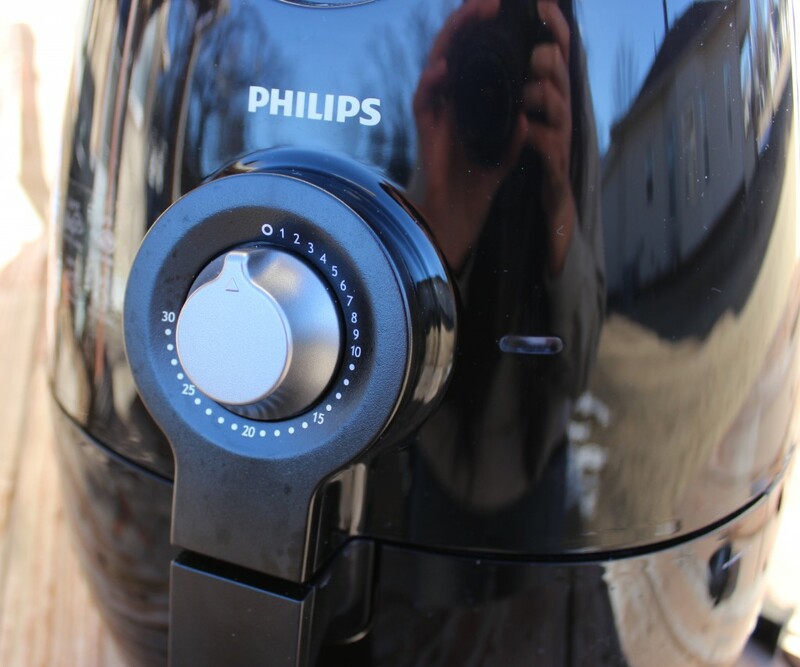 I received this Philips Airfryer from She Speaks for Free to test out and share my honest opinion on it! I love the taste of deep fried foods, it just calls my name! But with deep fried food you have foods full of calories, which is something I don’t love very much!! The Philips Airfryer was created for people just like me. Its unique design allows you to fry food with just a tablespoon or two of oil!! Some foods don’t even require any oil to be used, plus it drains the excess fat from food while it is frying! The Philips Airfryer is so interesting to me. It has rapid air technology, that circulates hot air with speed and precision for perfect results. We put the Airfryer to the test, and I was pretty impressed with the results! I made up some egg rolls and cream cheese won tons the other night for supper. They both had a really nice crunch to them like you would get if it was fried in grease! I was shocked at how great the won tons turned out, they were really nice and crispy! The one thing I did find is it does lack a little on the flavor, just because the oil you cook the food in normally does add flavor. But, even though it was a little less flavorful it was still very satisfying! We got the crunch you get when you eat fried food, and I just sprayed cooking oil on the wire basket and that was it! The Philips Airfryer comes with instructions and a recipe book! On the side of the machine it has a quick guide that shows you what temps fit most foods. I found this to be extremely helpful! I don’t have to grab the booklet and look it up, I can just look on the machine, adjust temperature as needed and start cooking! 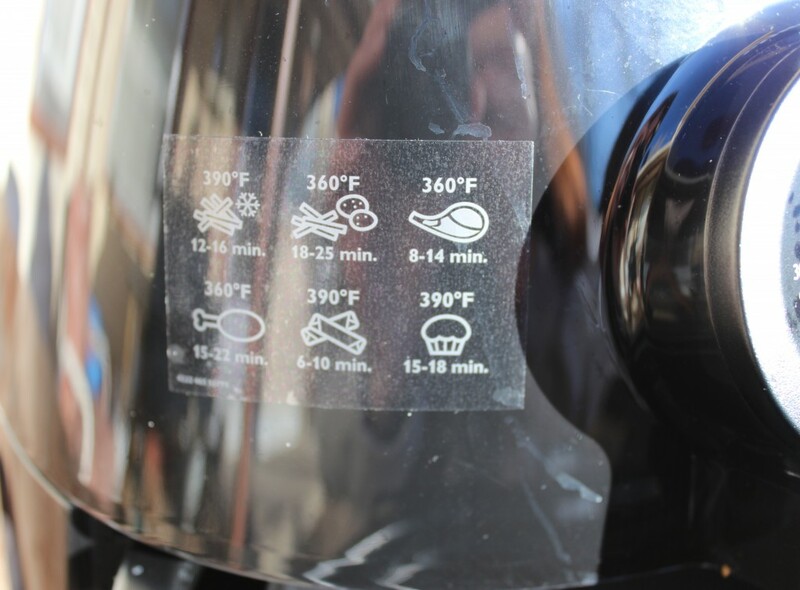 Plus it has a nice timer which you use to adjust to preheat as well as cook. It dings like a normal timer when it hits zero! It is loud enough I heard it go off when I was in the other room. At the top of the machine their is a dial where you adjust what temperature you want. All in all we were very happy with this product! We have used it a few times since and it works great. I have noticed when you have say fries in their and they overlap you need to make sure to shake the basket throughout the cooking time. When their is an even layer of food I have found it does a better job of getting the food crispy. To have a product that can give you a guilty pleasure taste without all the oil is worth it. Granted it doesn’t taste exactly like the greasy fried foods you get at fast food, but it still satisfies the tastebuds! This year we are making changes to eat healthier and the Philips Airfryer really helps us accomplish that goal! If you are interested in buying an Philips Airfryer you can choose from a few of them, and learn more on their website! 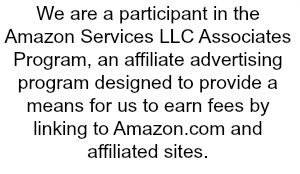 I received one or more of the products or services mentioned above for free in hope that I would mention it on my blog. Regardless, I only recommend products or services I use personally and believe will be good for my readers. I am disclosing this in accordance with the Federal Trade Commission’s 16 CFR, Part 255: “Guides Concerning the Use of Endorsements and Testimonials in Advertising. This sounds so amazing. I am with you — love fried food, but not the guilt that comes with it. My hubs was just saying he wants us to get a deep fryer. This looks like a WAY better option! I don’t normally fry foods, but I would totally be interested in trying something like this.